For a free consultation, please give our office a call at (253) 857-8188. 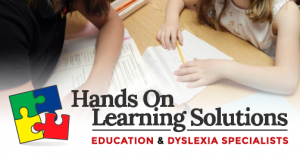 Hands On Learning Solutions offers diagnostic tutoring programs developed from the need to find solutions, not just band aids to learning challenges. Our approach is not based solely on tutoring or drill, but actually resolves the root causes of learning problems. Successful students have a set of tools they bring with them to the classroom, such as attention, focus, memory, and hand-eye coordination. Struggling students are missing some of these tools, or have not developed them enough to be successful in the classroom. Every person goes through the same developmental phases as the body and brain mature. Each layer of development, represented on the Learning Skills Pyramid, builds on one another and works in harmony to support daily living skills, behavior, and academics. 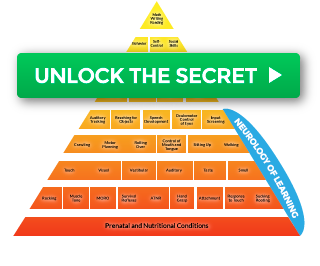 These layers include the neurology of learning, processing skills, communication, executive functioning or life management skills, and academics. Our program addresses the weak underlying causes of your child’s learning challenges to start them on the road to success. As a parent of a struggling student you are not alone. Seeing your child struggle can be both painful and frustrating – finding the answers does not have to be. It is estimated that between 10 to 20 percent of the student population have learning disabilities. Is what you are currently doing working? Many interventions are temporary solutions for poor academic performance or behavior problems. In order to remediate academic and behavior challenges you have to address the cause. Challenges with academics and behavior are the symptoms, we target the cause. At Hands On Learning Solutions, we look at the total child. Our approach is an individualized and comprehensive program designed to specifically target concerns through the integration of all the developmental layers and cutting edge programs. Our one-on-one programs have benefited children, older teens, and adults who are looking to improve their skill sets.